Regional Development Australia (RDA) is a partnership between the Australian, state and territory and local governments to support the growth and development of Australia’s regions. RDA Perth, previously part of the area consultative committees, was established in 2012 to focus on the Perth region. Our committee works to build partnerships between governments, regional development organisations, local businesses, community groups and key regional stakeholders to provide strategic and targeted responses to economic, environmental and social issues affecting the regions of Australia. Further information about the RDA Network can be found here. A key task of each RDA Committee is to develop regional plans and make them available to the community for review and discussion. RDA Perth has based its regional plan on its “Driving Change” report which can be accessed here. Our aim is to lead the way in assisting Perth to be Australia’s most desirable destination for living, working, visiting and investing. We want Perth to be a city renowned for its vibrant, cohesive community, exceptional physical environment and robust and dynamic economy. Our mission is to focus on being an effective and respected collaborator within the community and across all levels of government. We aim to harness all opportunities through collaboration and partnerships, aligning ourselves with stakeholders and working together to achieve success that benefits all our communities. 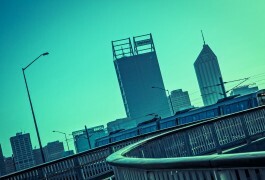 Contact us to find out more and involve yourself in making Perth the best city in Australia.